Do you remember what the first thing was that European leaders did following the outbreak of the financial crisis in the euro area in 2009? A discussion was started on new rules for tightening of the fiscal discipline, for not long after the start of the crisis an agreement was reached that it is a debt one – meaning it was caused by extensive accumulation of public debt in some member states of the common currency zone. First, there was talk of a “Euro +” pact, then of a fiscal pact, while in the meantime there was an ongoing overhaul of secondary EU legislation, institutions and structures were being created. All went under the headline of a “reform of the EU’s economic governance. Everyone joined voices in promising each other that they will not do this again – not following the rules. Even prior to a full rotation of the economic cycle, however, election cycles began in key economies for the crisis (both creditors and borrowers). An ideology war broke out between austerians and spenders. While the crisis was still smoldering in some of the most affected member states in the form of high unemployment, high prices of debt on financial markets, unfinished bailout programme, bank troubles, et cetera, spenders were forced to comply with the will of creditors. After the announcement of the end of the crisis, however, and following the outburst of populist and Eurosceptic parties, a rebellion against the rules began. Even the José Manuel Barroso (Portugal, EPP) Commission, soon after the coming into force of the new economic governance, began stretching the rules and granting concessions to countries, which were violating the fiscal discipline. The Commission believes that the time is just right for giving up on fiscal consolidation for growth, despite modest, is sustainable; unemployment, although high in some parts of the currency club, is dropping; the aggregate budget deficit is dropping (for the entire euro area as a whole) – down to 2.1% from 6.2% 6 years ago – as well as the average debt, which is currently around 90% of GDP. They also believe in Berlaymont that in a moment of global uncertainty it is better that the euro area adopts an expansionist fiscal policy, for it will primarily rely on domestic consumption. Among the arguments in the document is also that, opposite to fiscal policy, monetary policy has been supporting growth over the last few years. In the period of 2011-2013 the aggregated fiscal position (the common one) has been contracted, because most member states entered into a fiscal consolidation regime so as to protect their access to markets. This, according to the EC, has been hobbling growth. During the 2014-2015 period, the common fiscal position went to neutral and slowly began to expand in 2016, but is expected to remain neutral throughout 2017. According to many, financial markets are far more resilient and not as susceptible to shocks, seeing how they took relatively well the Brexit and the election of Donald Trump for US president. Another argument of the EC is that the euro area does not have a common finance minister anyway and consequently cannot implement a common fiscal policy. The only framework it employs is the Stability and Growth Pact (SGP), which was created with the purpose of preventing excessive levels of deficit and government debt. It is also a problem, that if viewed as a single entity, the euro area hides the unequal fiscal distribution between member states. 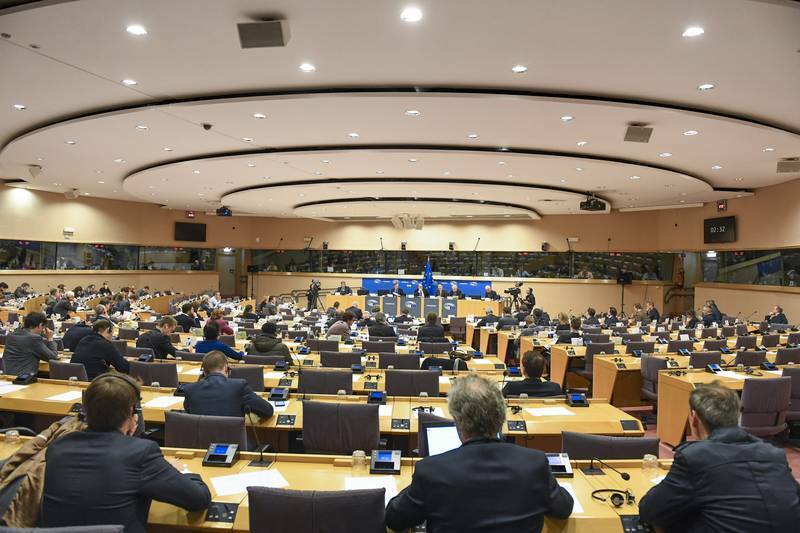 The EC believes that there is also the need and the possibility now to act at the fiscal front. Its proposal is for a fiscal expansion of 0.5% of GDP in the euro area in general for the year 2017. The number is the result of an assessment of the situation at economic activity level, free capacity, unemployment, and inflation. Such expansion will lower the unused production capacity in the euro area and will support monetary policy, while at the same time avoid overheating the economy. The EC also believes that this will be a step towards achieving the goals set in the five presidents’ report. First reactions to the proposal are mixed. The boss of the European Central Bank, Mario Draghi, who has for years now been repeating every month the need for the bank’s monetary policy being supported by policies on other levels as well, during his regular hearing in the European Parliament’s economic committee last week, supported the Commission’s idea, but did warn that fiscal policies need to take into account the Union’s fiscal rules. “The concept of the euro zone fiscal stance, if correctly interpreted, can be a useful input to our policy discussions. 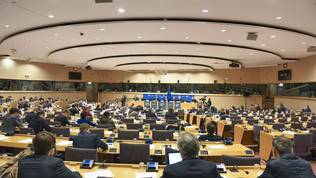 However, it is not a legally binding constraint on member states, which continue to be bound by the Stability and Growth Pact”. 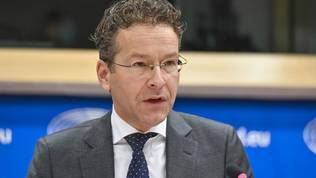 A day after the dialogue with Mario Draghi, MEPs of the economic committee were faced by Eurogroup boss Jeroen Dijsselbloem (The Netherlands, Socialists and Democrats), who sent out sharp criticism against the EC’s proposal. 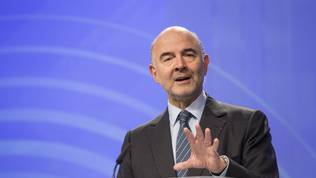 He also admitted that the aggregated euro area data masks great discrepancies between member states, while some of them still need convincing progress in preserving the sustainability of their public finances and enhancing their capacity for shock absorption. “Therefore it is essential that the agreed fiscal rules are upheld and applied constantly. The Pact is the anchor of stability for the euro zone”, said Mr Dijsselbloem. In the name of joint credibility it is important that the euro area is consistent. He also paid attention on something else. In the country-specific recommendations, which the EC publishes every spring within the scope of the European semester, there are specific fiscal requirements being set, based on the SGP. This means that the agreed country-specific recommendations this year need to be implemented in the 2017 budgets. With its proposal for a budget expansion, starting as early as 2017, the EC is practically giving up on its recommendations, went the interpretation of the Dutch finance minister. He also reminded that the main task of the Commission is guaranteeing that member states follow the rules. 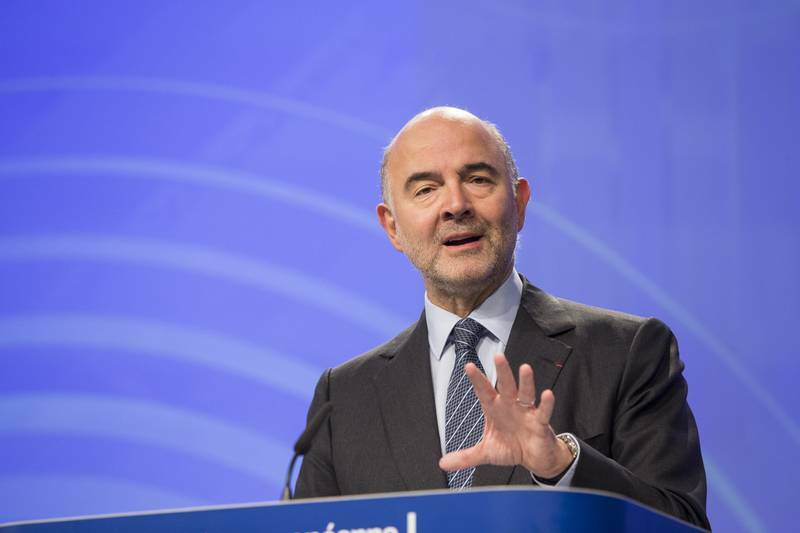 He believes that the euro area is still not stable enough to begin such measures. There are countries, who can afford to loosen the belts, but there are still quite a few countries that do not possess the necessary fiscal space to do so. 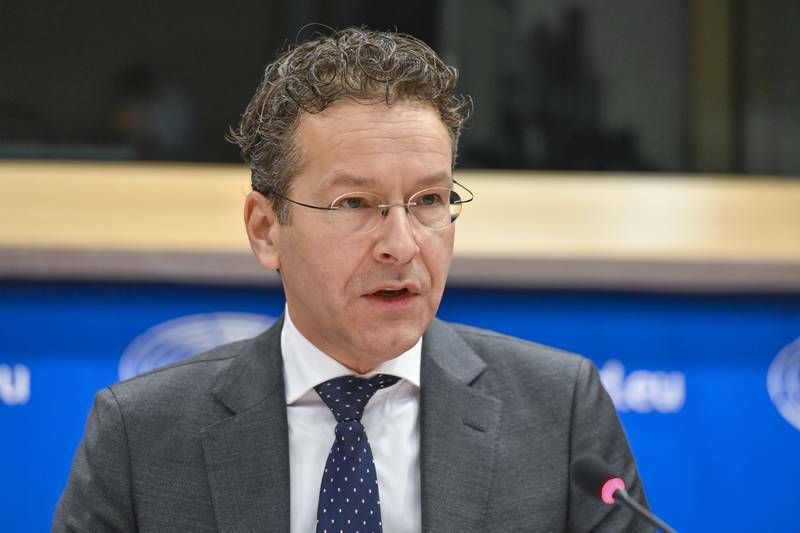 Addressing some populist reactions in the economic committee Jeroen Dijsselbloem stated that he is “this tough Calvinist guy from the Netherlands”, but he also reminded that he is Catholic. “I know from experience in the past how important it is to preserve the credibility of the Pact. And the temptation to be easy on these rules and regulations in the good times and then to find out, [when] the economic bad times hit, that we should have taken more seriously. That’s the lesson from the past”, he reminded. “There is a tendency - not just in Europe but worldwide - for factual policies and if you don't like the facts you simply ignore them and state the opposite. The fact is that for the 4th year in a row the growth in the euro zone is improving. The fact is that a number of countries are showing very strong growth but there are still major differences. The fact is that on average growth is 1.6%, but it’s probably too low. And the fact is that deficits will go down below 2% on average in the euro area. It's not true that we have the lowest growth in the world. I know that you'd like to say that because you'd like to say in a following sentence that it’s all due to the euro. I don’t think it's the right analysis to blame all the different problems of the member states on the euro. The right analysis is that we have competitiveness problems in many of our countries, that we were hit by a major financial sector crisis which we are still getting out of - the process of rebuilding and reopening of our banks for business is still continuing. But I think all of these factors are moving in the right direction. If you want to blame the euro, very well, but you have to realise that monetary stability, economic stability before the euro wasn’t exactly perfect in Europe but it seems our memory is so short. Let's stay closer to the facts”, were Jeroen Dijsselbloem’s words. This battle seems to have a predetermined outcome – victory for factologists. The problem is that it wastes time when there are truly important debates in the EU and the euro area in particular.